Track Inoperative EPF account - How? Home » Personal Finance » Track Inoperative EPF account – How? 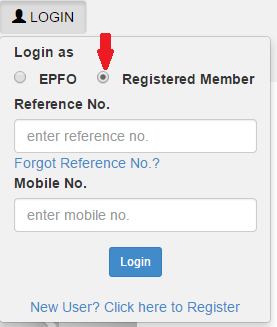 Now you can track Inoperative EPF account online. 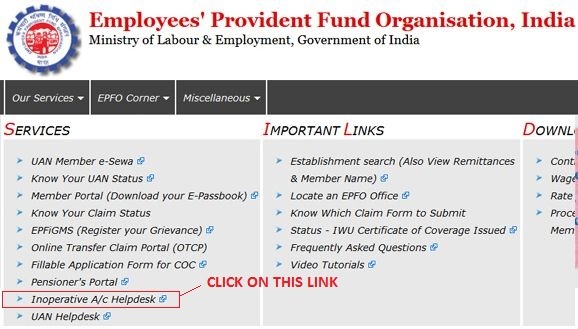 EFPO has set up online helpdesk to track inoperative epf account. This facility also helps members in claiming money lying in an inoperative account. If you are changing job frequently it may be possible that you forget to transfer or withdraw money from EPF account and account may become inoperative or dormant. These types of EPF account can be tracked online. This article explains about How to Track Inoperative EPF account. Any EPF account where no contribution is made for consecutive 36 months is classified as Inoperative EPF account. Interest shall not be credited to the account of a member from the date on which it has become Inoperative Account. Online Helpdesk is created to help EPF member to track inoperative EPF accounts. 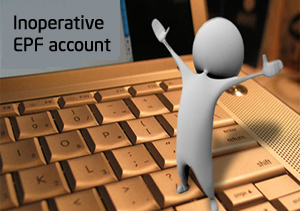 You can get this account merged with present EFP (UAN account) or withdraw the amount from the account. How to Track Inoperative EPF account? 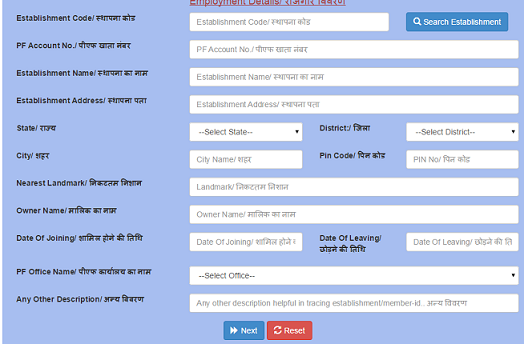 Step-1 – Visit EPF site and click on for Employees Tab. You will be redirected to a page where you can find the link for Inoperative A/C Helpdesk. Step-2 – On clicking this link you will be redirected to a page where general information about Inoperative EPF helpdesk will appear. Step-3 – At the bottom you will find various tabs. Click on “First Time User” button to register a new case. Step-4 – Provide Problem Description and click on Next Button. Step-5 – On next page it will ask information about your company, PF account number, Establishment Name, Address, Date of Joining etc. Try to give maximum information. Step-6 – You will be prompted your name, mobile number, date of birth, e-mail ID and address. Name, Mobile number and Birth Date are mandatory fields. Step-7 – Next section is about KYC details. You need to enter PAN number, Account number and Aadhar Number. How to Track Status of Inoperative EPF Account Request? Step-1 – Click on “Existing User” Tab you will be redirected to a page where you can find Login button. 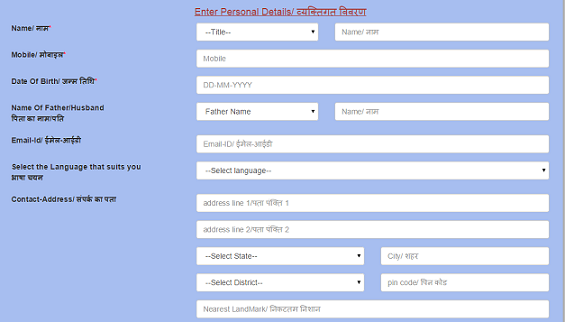 Step-2 – Enter Reference number and Mobile Number and click on Login button. You will be redirected to the status of your request. Step-3 – If you forgot Reference number you need to click on “Forgot Reference Number”. You will be redirected to page where you need to give your mobile number and Date of Birth to get the reference number. What happens once the account is traced? Once your account is traced helpdesk will notify you. You need to withdraw money from this account if you are not employed. You can use form 19 to withdraw money. If you are employed you need to merge this account with your current EPF account (UAN). In order to merge this account with your current account, you need to send the application to EPF office through your current employer. It usually takes one month to complete this activity. You can also use online transfer claim portal (OTCP) for this. What happen if I am unable to Track Inoperative EPF account? If you are unable to track your inoperative EPF account and seeking more information, you can register EPF Grievance. EPFO gives facility to register grievances online. If EPF Grievance system fails to give an answer of your query you can file official RTI to get information about your EPF account. Hope information given above will solve all your problem related to Inoperative EPF account.